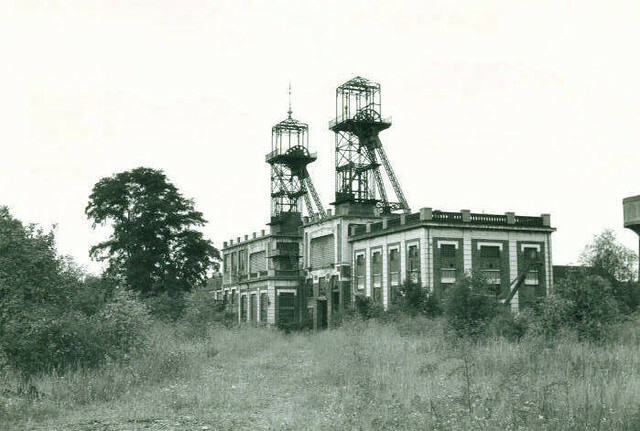 The area around Loos was one of France’s richest coal mining districts and the landscape was populated with mining communities and old pit heads. 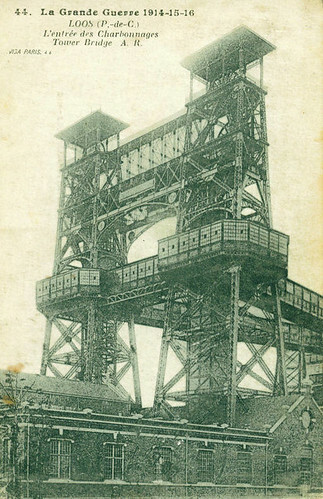 Arguably the most famous was the so-called ‘Tower Bridge‘, a massive pit head lift which stood to the rear of Loos village and which reminded those who saw it of the original Tower Bridge in London. Loos itself sat in a hollow but the top of Tower Bridge could be seen from the British trenches before the battle and it soon became a landmark. Men from the 15th (Scottish) Division took the village on 25th September 1915 and just as the Germans had used it as an Observation Post, British gunners soon did the same until it was eventually destroyed. Many of the men who served at Loos acquired postcards of Tower Bridge in towns like Bethune, and kept them or sent them home to family. Images of it appeared in the popular press of the day. By 1918 there was little left of Tower Bridge but it was rebuilt post-war. The mining industry in Northern France pretty much collapsed in the 1960s/70s and the pit which the new Tower Bridge served closed. The image below was taken by WW1 author John Giles in the 70s showing the building before it was demolished once more. Today only a few traces exist of Tower Bridge, now tucked away between houses and a small park. This entry was posted on 26/09/2012 by sommecourt. It was filed under Battlefields, Great War, Loos 1915, Western Front, WW1 and was tagged with 1915, Battlefields, Loos, Loos 1915, Loos-en-Gohelle, Tower Bridge.